Portals won 1st prize in the Métamorphoses 2010, 6th Biennial Acousmatic Composition Competition, and was released previously by Musiques & Recherches (MR2010). Suite II was created with support from the Dewar Arts Awards, Scotland. Elements was funded by a bursary from the Performing Rights Society Foundation, UK. All pieces created 2004 to 2010 by Graeme Truslove. 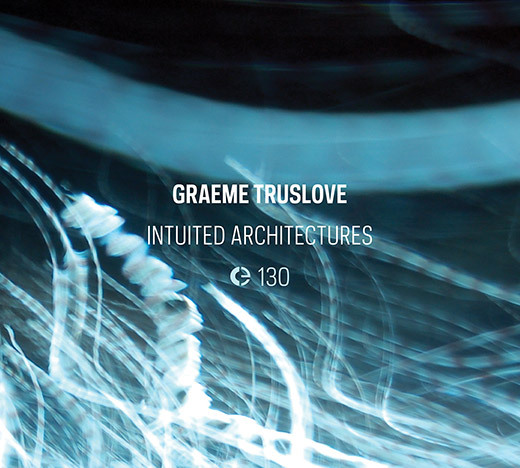 Intuited Architectures is available as a limited-release CD and a digital download. This entry was posted in Releases and tagged Graeme Truslove. Bookmark the permalink. Comments are closed, but you can leave a trackback: Trackback URL.